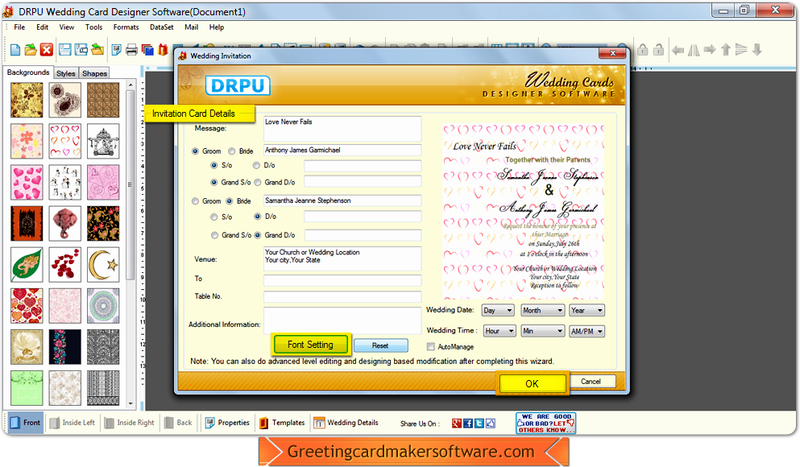 Wedding Card Maker Software process Screenshots helps user to easily run our software for making beautiful and stunning wedding card to invite your near and dear ones. 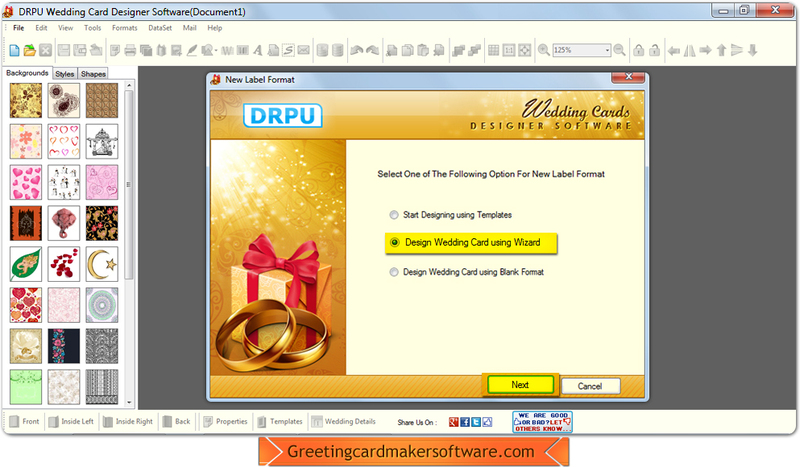 Install and run wedding card maker software and choose wizard option. 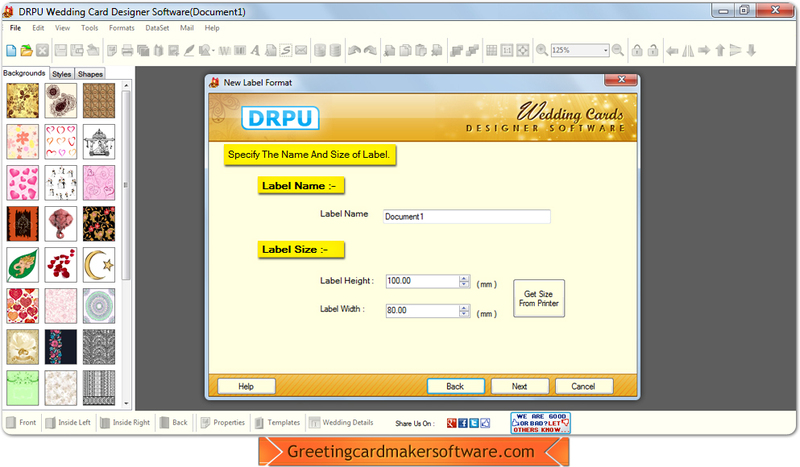 From this screen you can specify name and size of label. 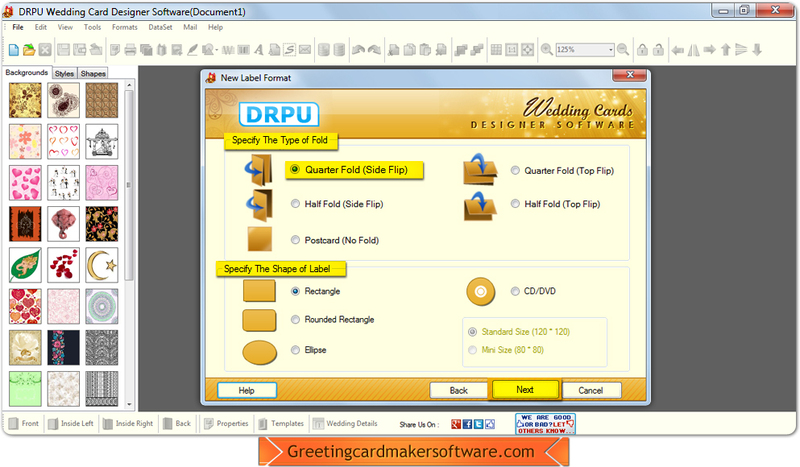 You can also specify the type of fold and shape of label. And finally fill your invitation card details to invite people.